WURF II [throw] is the second phase of the Throw-Project by Anna Borgman and Candy Lenk. 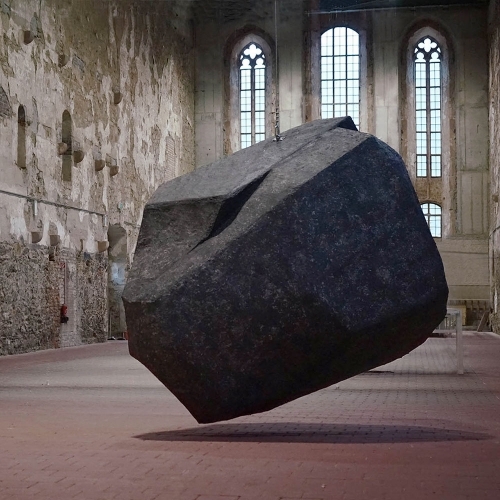 The large stone sculpture is hanging on a 13 m long steel cable from the roof truss of the Monastery Church Grimma. INFARM! 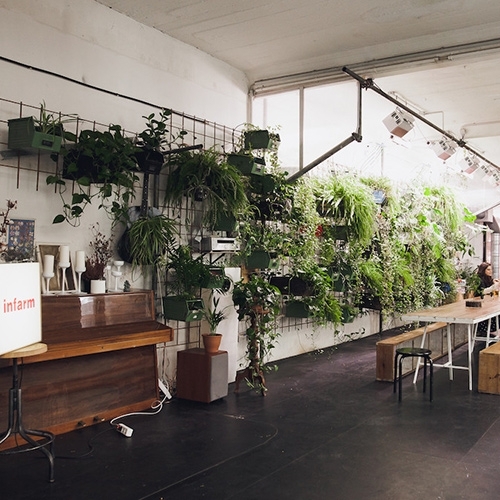 In a hidden courtyard in Berlin-Kreuzberg, you'll find the latest indoor farming technology. Nice interview at Ignant. 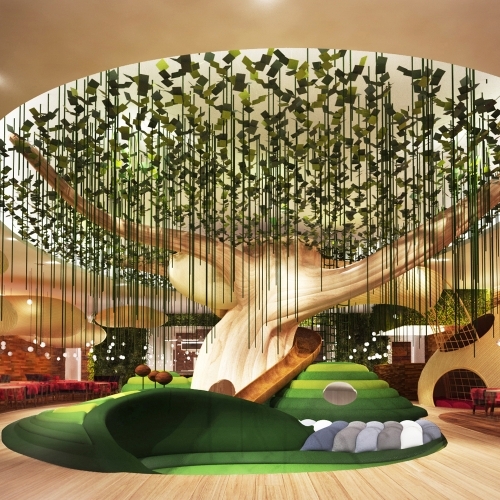 Stadler Design Studio imagined a new concept for a kid's restaurant in the heart of Paris. 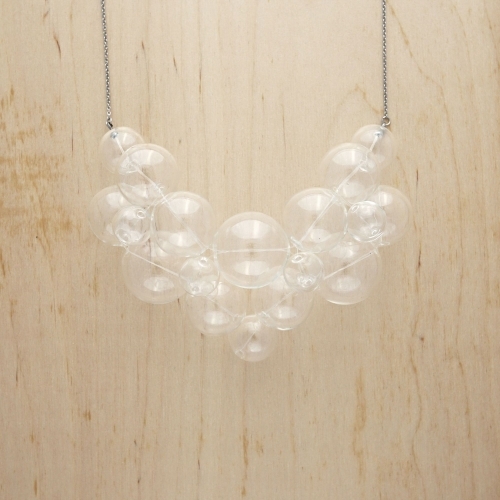 Bubbles are now wearable from Kat! These glass beads are carefully pieced together to create a fun and quirky style. 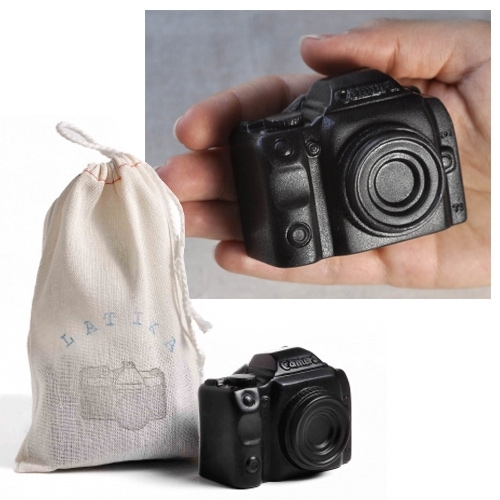 Latika Camera Soap - a mini Canon camera made of activated charcoal soap. 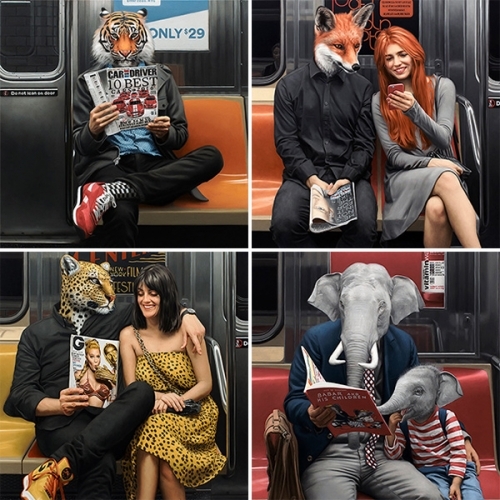 FEATUREDMatthew Grabelsky UNDERGROUND solo show at Thinkspace Gallery is full of stunning surreal/realistic oil paintings of NYC subway riders reading magazines (and kid's books)... and all the males are animals! Behind The WeTransfer Plus Monsters by their creative director Laszlito Kovacs! These are the result of fulfilling a tricky brief, and takes in Godzilla, marshmallows and Adventure Time. KFC Hong Kong's new 'Finger Lickin' Good Edible nail polish' in Original Recipe and Hot & Spicy. Sourced from natural ingredients, simply apply on nails. dry then lick! From Ogilvy & Mather Hong Kong. 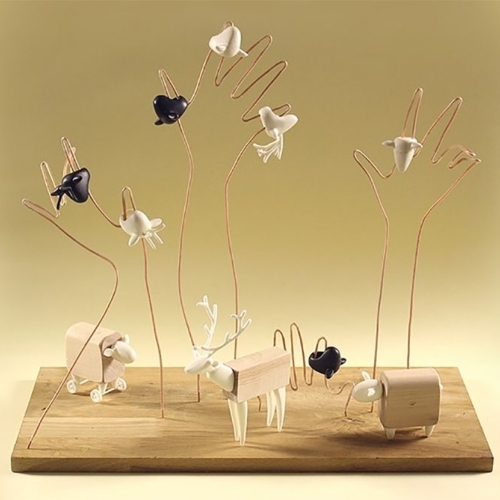 Field Collective at Design Week Minsk 2016. 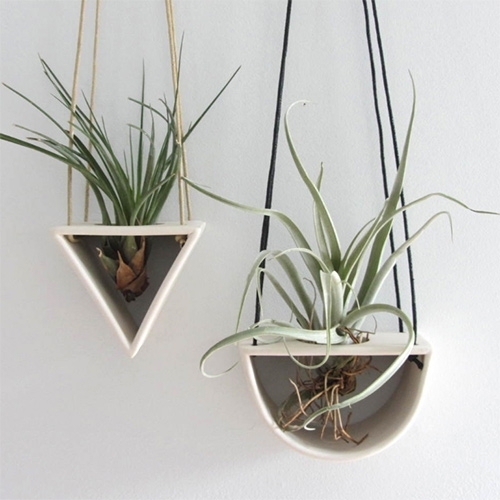 Love the simplicity, minimalist and fun approach they use in their design creations! 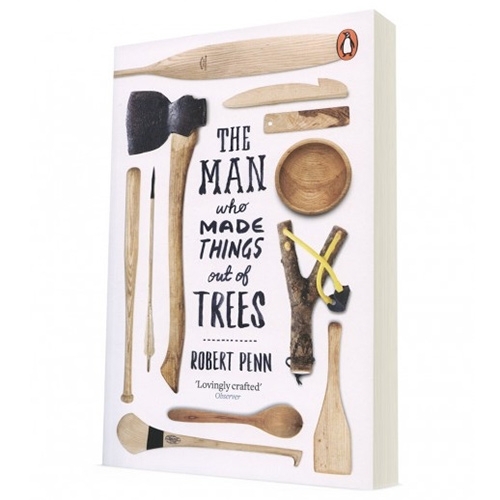 The Man Who Made Things Out Of Trees book by Robert Penn - working with some of Britain’s best makers to find out how many objects can be whittled from a single Ash tree. VIDEOHonda Great Journey - showcases how autonomous driving could take us across the world. 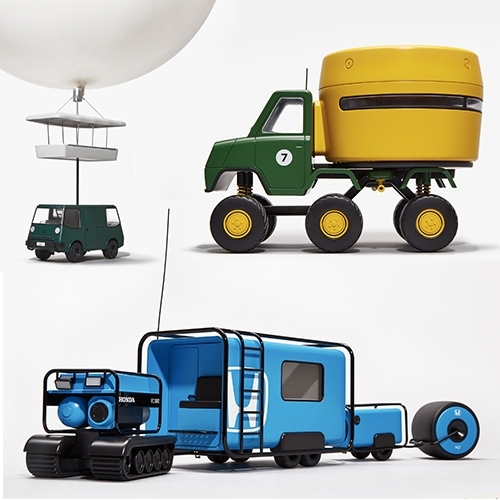 Map Project Office and Mori Inc. were commissioned to create 7 concept vehicles. Amazing video, models, and ideas! 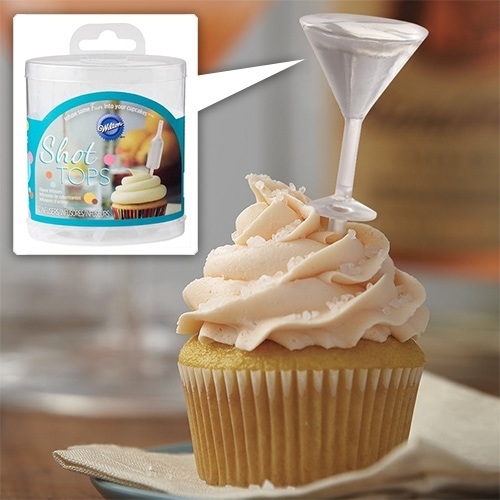 Wilton Shot Tops (bottle and martini glass shaped) plastic pipettes ready to infuse flavors and add an extra something to your cupcakes, tapas, and more. 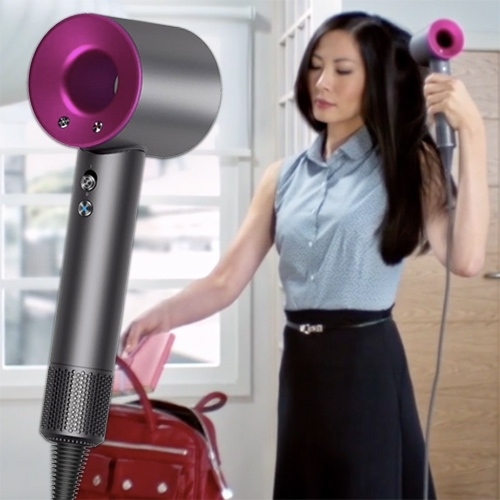 Dyson Supersonic Hair Dryer - ultra fast hair dryer inaudible to the human ear. Motor is in the handle for better balance. Attachments are magnetic. Comes with a limited edition leather travel case. FEATUREDCompartes Chocolates - bars on bars on bars at their Brentwood, CA store. A close up look at the packaging and unique deliciousness like Campfire S'mores, Let Them Eat Cake, and Donuts & Coffee bars and more! 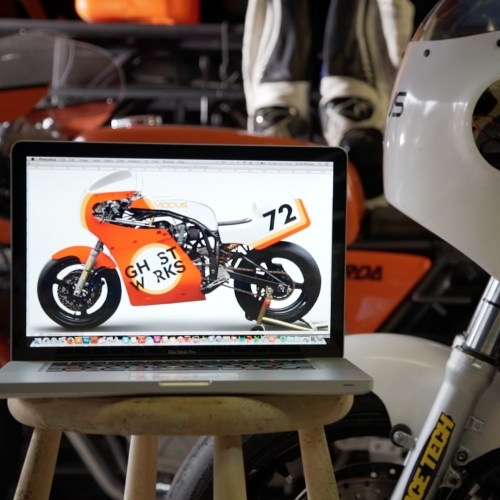 VIDEOPassion Driven: XR69 Design-Build by GHOST WORKS - Footwear design agency documents the design-build of a racing motorcycle to demonstrate the transitive property of their "passion driven" creative process. 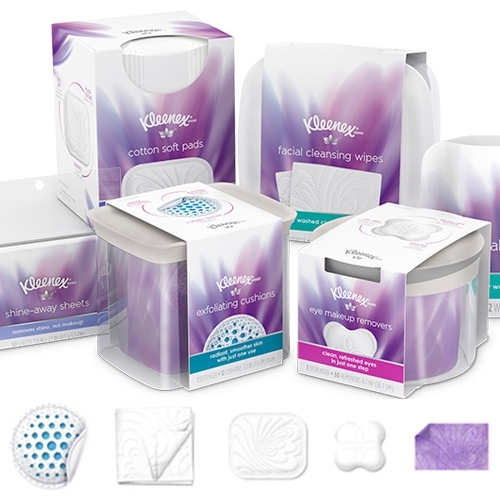 FEATUREDUnboxing the Kleenex Facial Cleansing collection - fascinating branding/packaging for this new line extension. The refillable boxes have some surprises... see all the details up close. 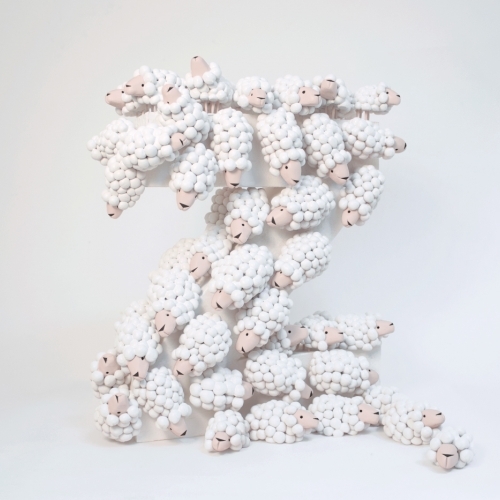 A Z (of ZZZ onomatopeia) created by sheep counted to fall asleep for the project 36 Days of Type. 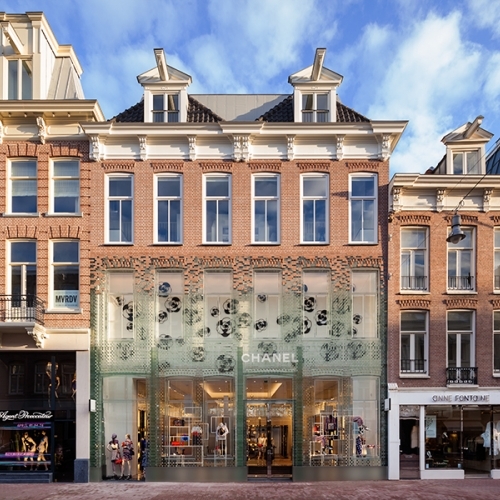 MVRDV has completed the new Chanel flagship store in Amsterdam with a replica façade made entirely out of glass. 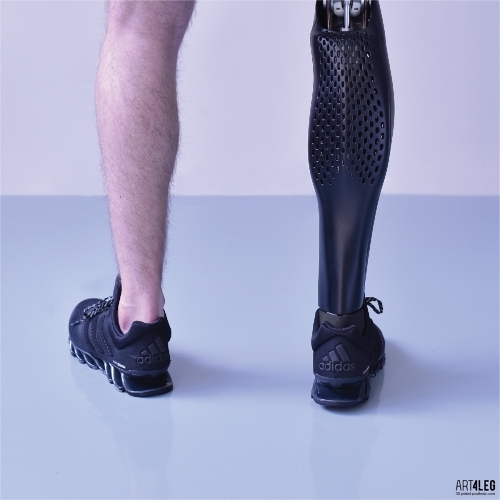 Tomas Vacek designed the prosthetic leg cover for ART4LEG. 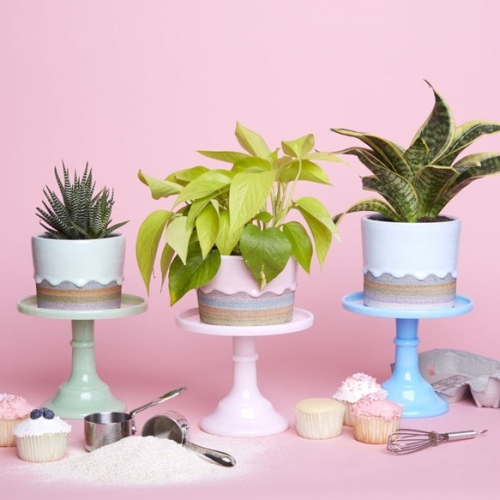 FEATUREDExclusive collection of cake like ceramic pots for The Sill by Brian Giniewski! 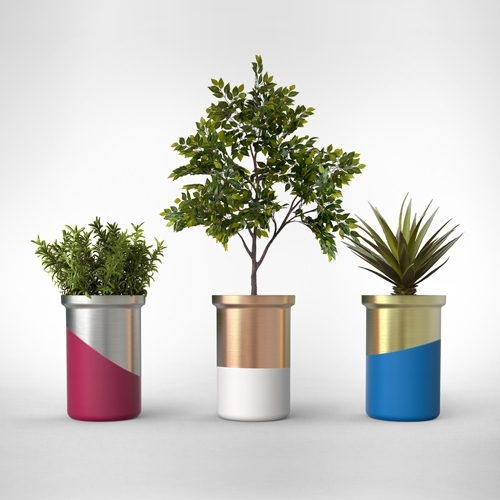 Amazing colors and photography for these beautiful hand thrown plant pots! 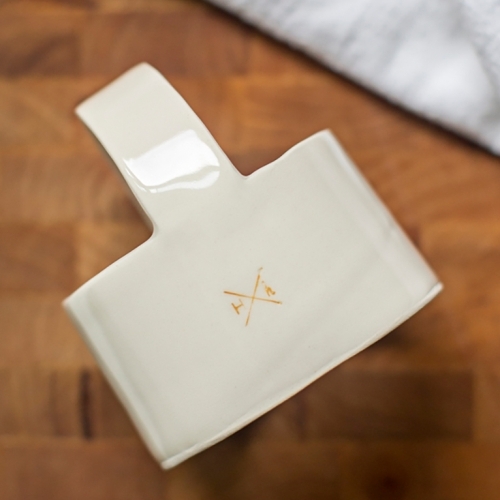 The ceramic Biscuit Cutter via Atlanta based, heirloomed collection and Honeycomb Studio. 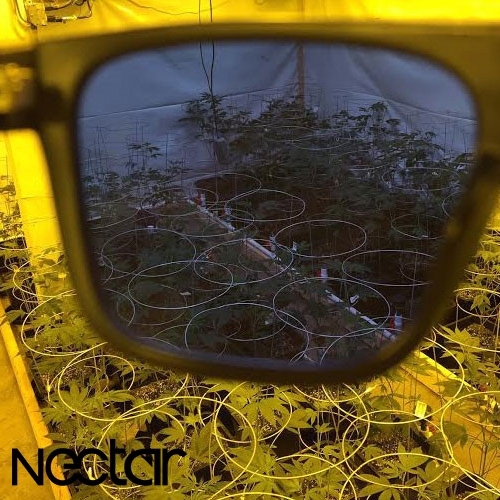 Grow Room Glasses by Nectar - the perfect 4-20 launch. Nectar trimma lenses are made to provide optimized color and clarity when operating under HPS lighting indoors. Prevent ocular damage and yield more harvest. 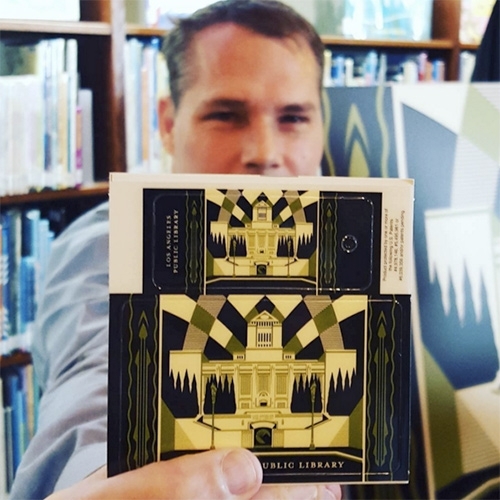 Los Angeles Public Library Card by Shepard Fairey. It features the 90 year old historic Central Library. 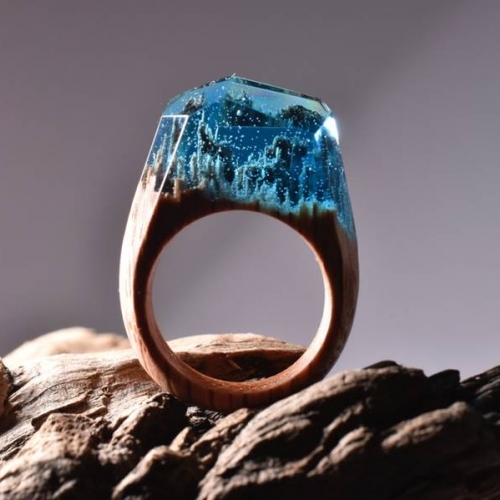 This is the first new design in 20 years and the first artist card. 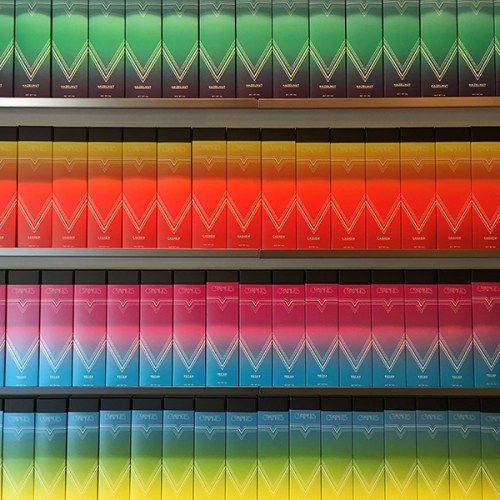 It is now available at all 73 locations of the LAPL. 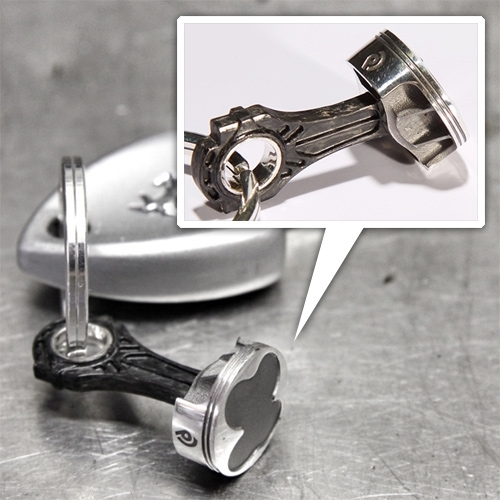 Mini Ferrari F1 Piston Keychain from Discommon. Over a year in the making - they are made in LA and the cast silver piston is free to move on the forged carbon con rod. 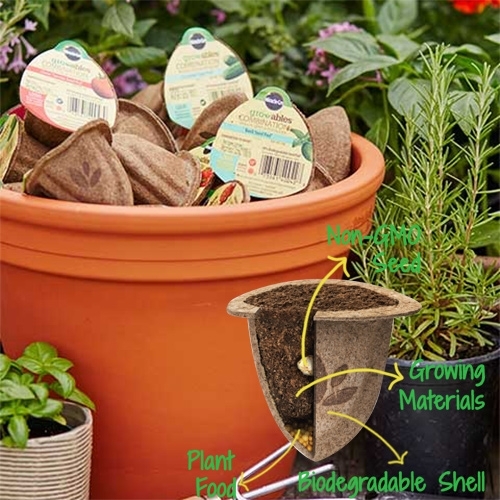 Miracle-Gro Gro-ables - interesting packaging for these all in one seed pods. Pop them in some soil and add water. 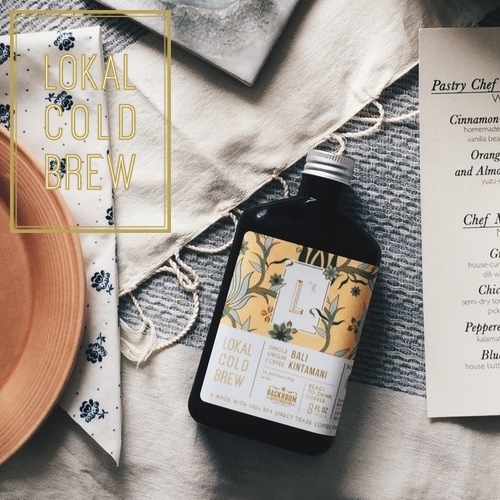 Lokal Cold Brew in Columbus, Ohio. Proudly showcasing hand brewed and bottled single origin beans from different parts of Indonesia also reflected in the batik prints on the bottles. 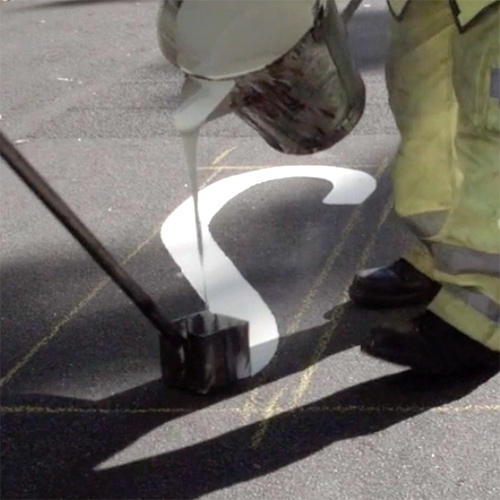 VIDEOO Street's "Roadliners" is a film about inspiration and craft, and the uncelebrated typographers of the road and a day in the life of Glasgow roadliner Thomas ‘Tam’ Lilley. So fascinating! 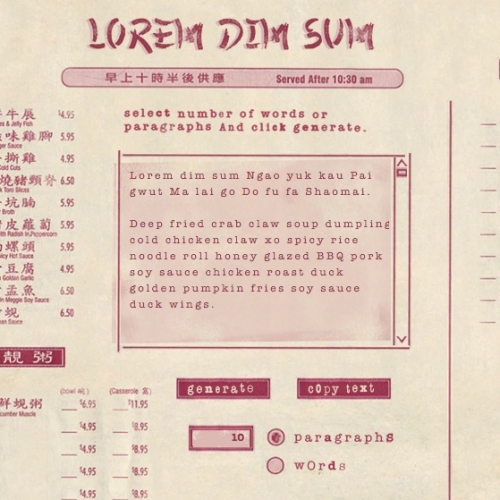 And they had them make a font from it! 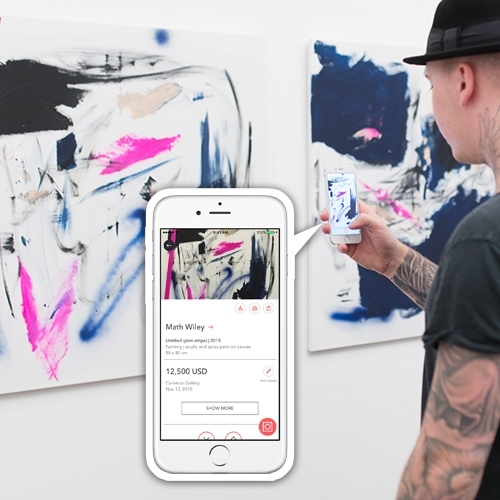 Magnus - "Shazam for the art world" Take a picture of a piece of art to find out information and pricing (Currently only works in NY - London and Berlin coming soon.) Also informs you of other galleries/exhibits on the city map. 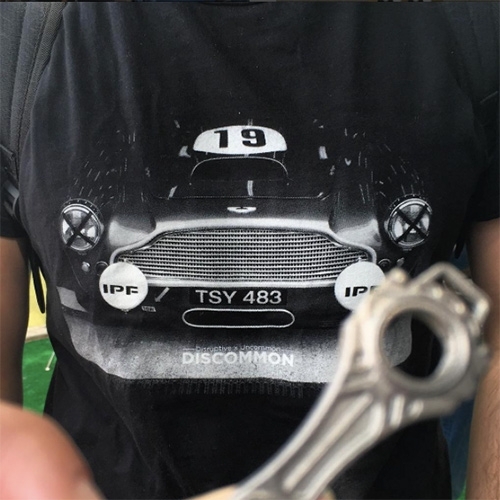 Discommon x BTWL T-shirt Vol.1! Limited Edition of 100 featuring a stunning vintage Aston DB4 in full race livery. 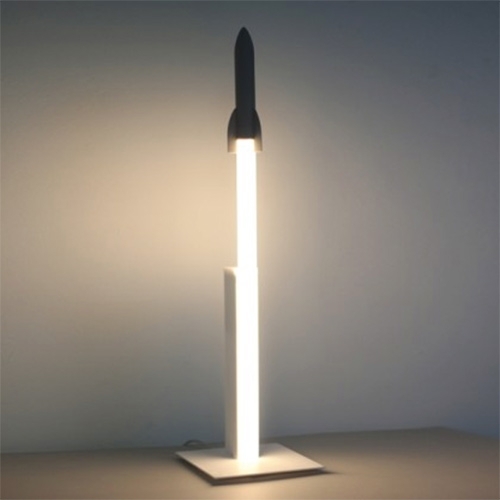 Discommon = Disruptive Ideas x Uncommon Executions. BTWL = Between The White Lines photography. 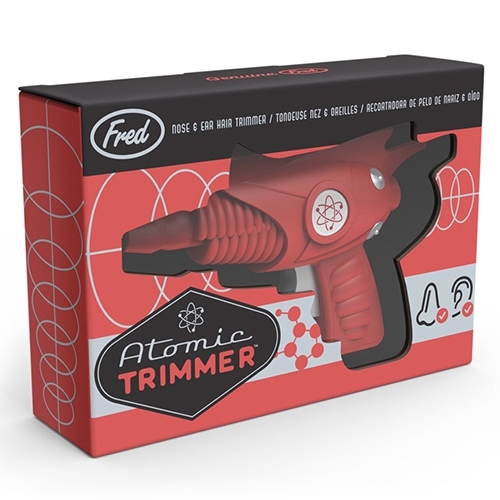 Fred & Friends Atomic Hair Trimmer (for nose/ear) - leave it to them to reimagine the mundane into a retro ray gun of sorts! 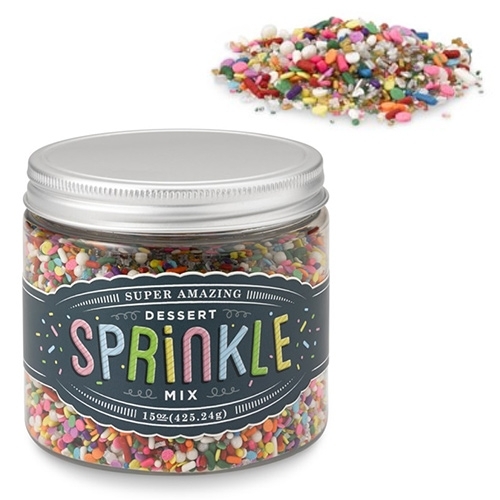 Fun packaging too! FEATUREDIKEA ANVÄNDBAR Collection! 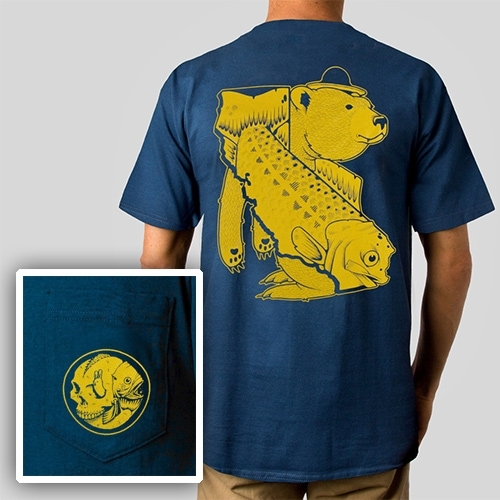 Great illustrations overlaying their product shots. 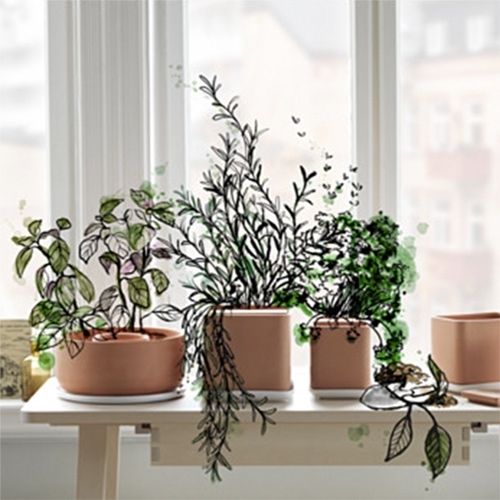 Lovely terracotta and glossy white earthenware in this collection that is all about simplifying your home. 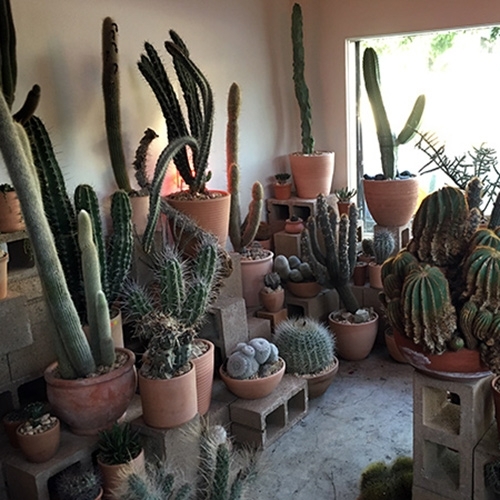 FEATUREDThe Hot Cactus Store of Echo Park in Los Angeles is 350 sqft filled with cinder blocks and an amazing collection of rare cacti (+ pots!)! Be careful where you step... it's a surreal place with a great story! Habibi Suculentas Plantitas Búho! 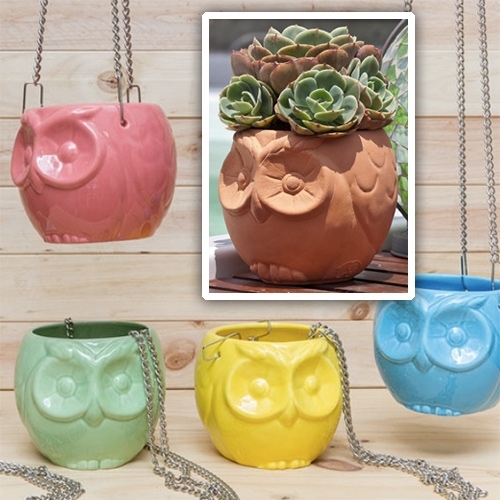 Adorable owl planters in normal and hanging variants and a rainbow of color options! FEATUREDA Pony Express Mailster! Apparently 350 were ever made - as designed by San Diego industrial designer, Robert VanHeck in 1964. We just spotted this one in Downtown LA. 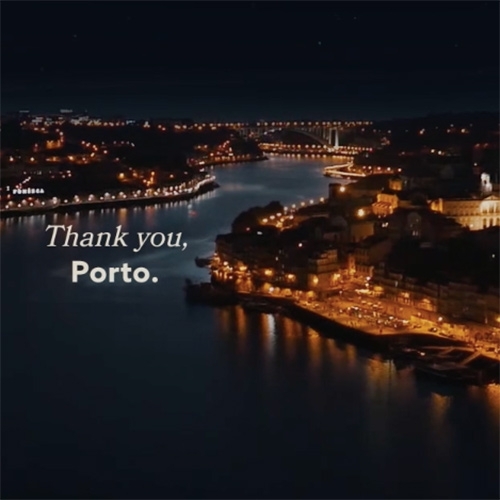 VIDEO"Thank you, Porto." from Armazém Criativo is a trbute to the city of Porto, a fairytale about a girl and her experience in this special city in the north of Portugal. 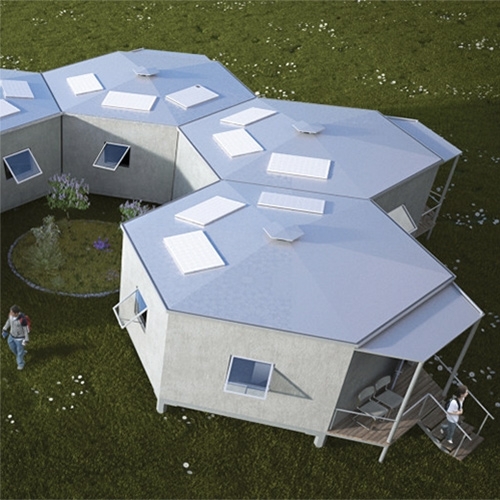 Architects for Society Hex Houses - Rapidly Deployable Dignified Home. 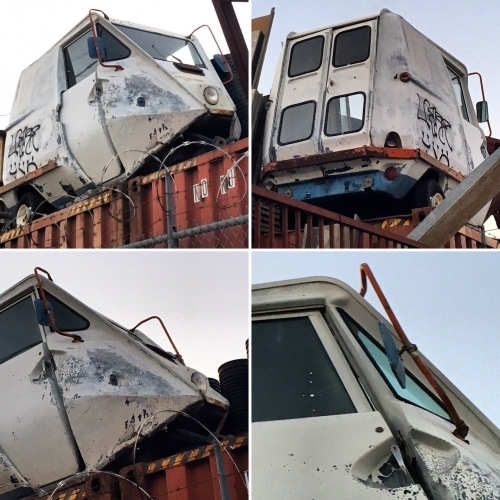 It is shipped in pieces and assembled by the end users. Made of galvanized tube steel for the base, structural insulated metal panel for walls, floor and roof and can be customized. 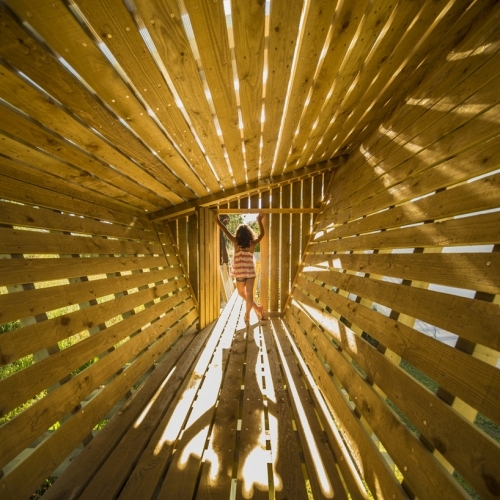 Casa No Muro by Martial Marquet is a play house built on a fence wall of a private house in Portugal. Thanks to a large gate it offers an amazing view on the surrounding countryside landscape. 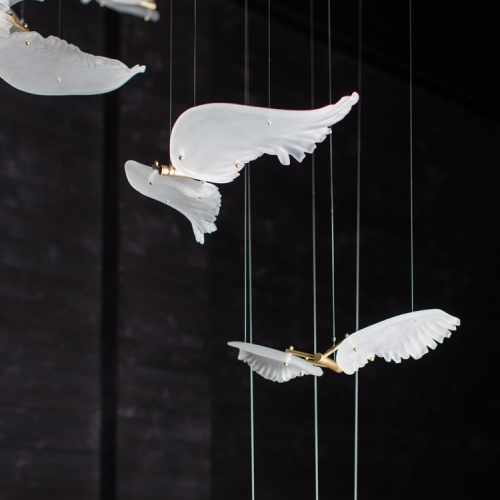 Crystal Automata by Czech lighting manufacturer Preciosa - a series of crystal installations inspired by mechanical movement and the fascinating craftsmanship behind glassmaking and clockworks. 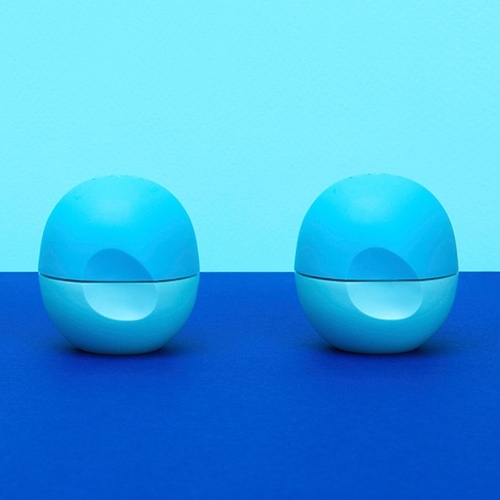 Art direction and design of Eos products by brand consultancy Collins in NYC. 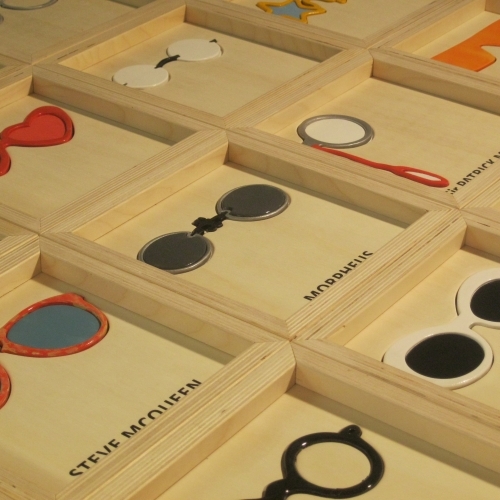 Famous Glasses is a graphic design on wood dedicated to famous people. CUT (Carlo Cazzaniga) worked the boards (22 x 22 cm) with the technique of fretwork. 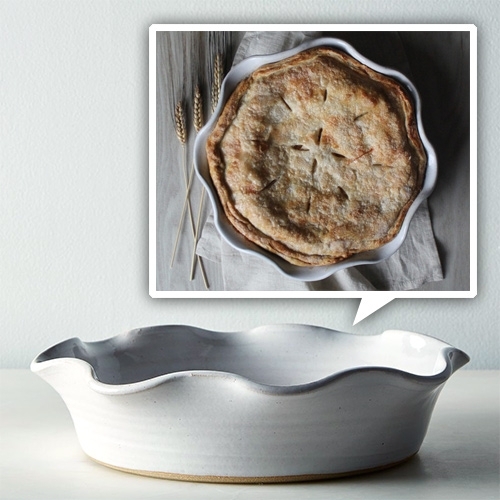 Farmhouse Pottery Laurel Pie Dish - wheel thrown stoneware clay, made in Woodstock, Vermont. 11.5" X 2.5" and oven, dishwasher, and microwave safe.